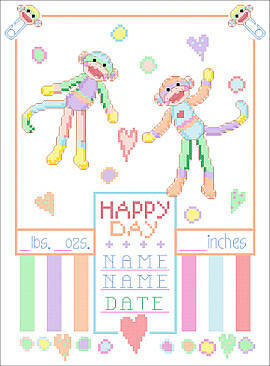 Baby Monkey Sampler Have a lovely permanent record of your baby's birth. These cheerful monkeys will announce it to the world! Contents: Stitch Count 106w X 145h. Finished size on 14-ct, 7-1/2" X 10-1/4"